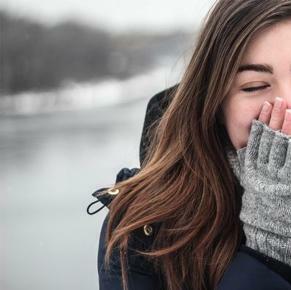 Cellulite can be diminished using acoustic wave therapy, a treatment designed to address the underlying connective tissue congestion and rigidity found in cellulite. 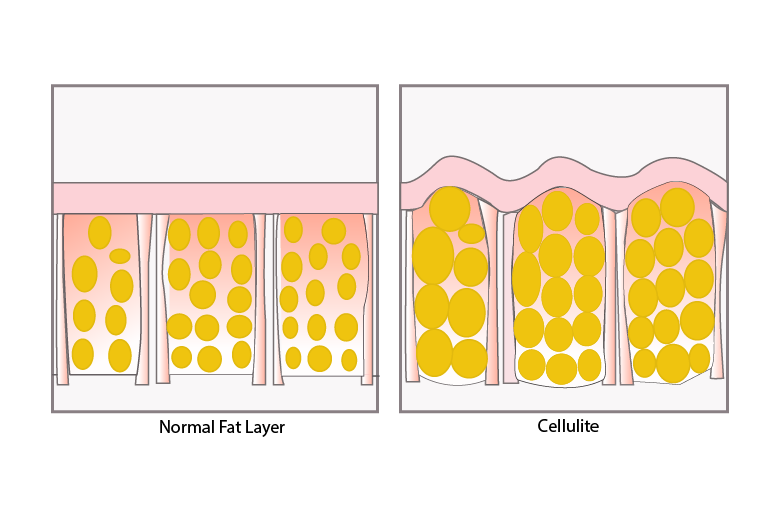 Cellulite is caused by a hardening and contraction of connective tissues (fibrous septae) that supports fat tissue. The fat bulges between the rigid fibrous bands. This rigidity also restricts blood-flow and lymphatic drainage, adding to the problem. We often use acoustic wave therapy in conjunction with other technology as per the client’s requirements, for example the Venus Freeze radiofrequency machine, Clatuu fat freezing technology, or the ThermiTight RF machine. Removing fat via liposuction, fat freezing or lipodissolve can aid somewhat, but it’s not the simple answer to cellulite, since it doesn’t matter how much fat you have – it matters how rigid the bands are and how loose your skin is. Cellulite is a normal occurrence and is not dangerous. It can, however, be unsightly, with some people affected by the dimples more than others. There is no known long-lasting solution for cellulite, but the appearance of cellulite can be addressed in a deeply-acting manner with these devices. Acoustic wave therapy (AWT) is a non-invasive method for safe, long-term cellulite treatment. AWT uses ultrasonic waves to break down the fibrous tissue and relax the septae, allowing the fat cells to fall back naturally into a smoother contour. AWT has been used for kidney stones, Achilles tendonitis, and other calcification disorders of soft tissue. AWT is also used for skin tightening. AWT disrupts the hardened fibrous septae, restoring natural elasticity to the skin. The underlying skin is thickened, which stops the dimply skin from appearing, whilst also mechanically breaking down fat cells. The whole process improves blood flow and lymphatic drainage, further increasing the action of the ultrasonic waves. We have the best cellulite program in Melbourne, CelluFix.